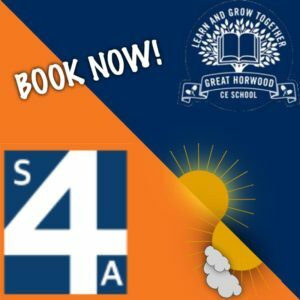 Please use the link below to book your places at the S4A morning breakfast club or the after school club. S4A Holiday Clubs have all your favourite activities and some exciting new additions this Summer! S4A are now offering our coding club for budding game enthusiasts to learn life skills with our award winning teacher Mark Vanstone. We have teamed up with Lace Hill GC Gymnastics to offer specialist gym days. Our fantastic dance teacher Jade from UP! is back this summer to offer the most amazing days of dance. Our very own Buckingham Rugby Club player Ben Cassidy is offering our Rugby Camp throughout the summer. We have spent the last few months investing in the best water guns, slides and water balloons for a soaking good summer. We have teamed up with the drama group at Northampton University to bring pantomime days to S4A.